The picture above makes it clear that an enjoyable time was had by all at the Focal Call My Wine Bluff evening on Saturday 02-Mar-19. 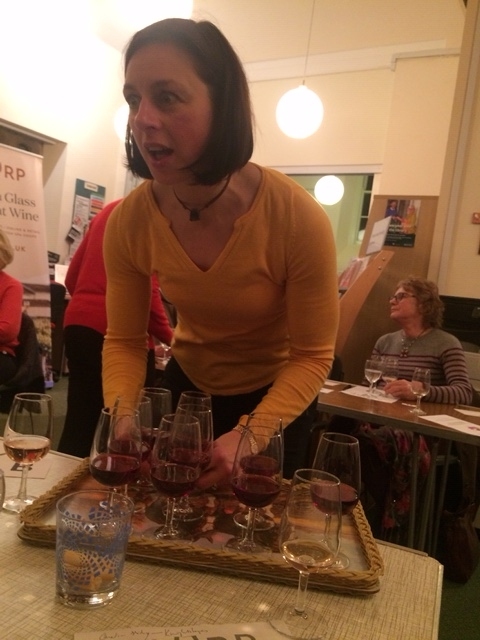 Thirty-three people took part in the event which was run for Focal by Slurp Wine of Banbury. The evening tested wine knowledge and wine drinking ability in equal measure. The evening contributed £206.00 towards our fund raising target. 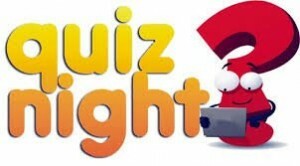 Our next event is our Focal Pub Quiz on Saturday 06-Apl-19. Tickets £5.00 per head from David & Aline Griffiths on 01295 810002. Focal was well represented at the Adderbury Farmers’ Market held at The Institute on Thursday 14-February. Pictured above is our Chairman, Liz Wingrove, talking about Focal at our stand. Church House was full this morning for Focal’s Festive Morning to mark the opening of the Christmas Season. On a cold morning, John Cordingley’s fiery mulled wine was most welcome and accompanied by plenty of mince pies. There was good conversation and a chance to make new friends as well as to meet old ones. 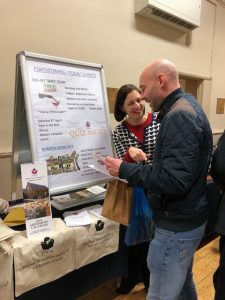 Focal 2019 Calendars were also on sale with 12 pictures of our wonderful village. If you have not bought one yet, they are on sale in the library, the village shop and The Coach & Horses. 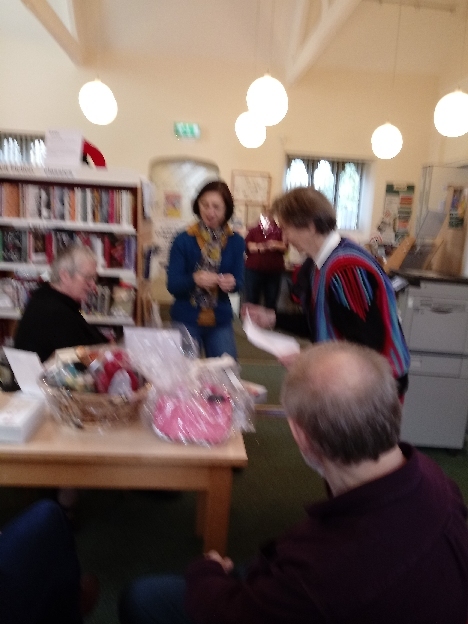 Pictured here is Focal Chairman, Liz Wingrove, announcing a winning ticket for the bumper raffle. She is helped by Evelyn Jacomb and Ann Dawson. Thanks to our willing team who organised the event and to everyone who came to support Focal. If the photograph is not as crisp as you might hope, put it down to the strength of John’s mulled wine! The Focal Calendar featuring 12 views of Adderbury village is now on sale from the library, the village shop and The Coach & Horses. Priced at £7.00 this will look great on the kitchen wall as well as keep the whole family in the know. 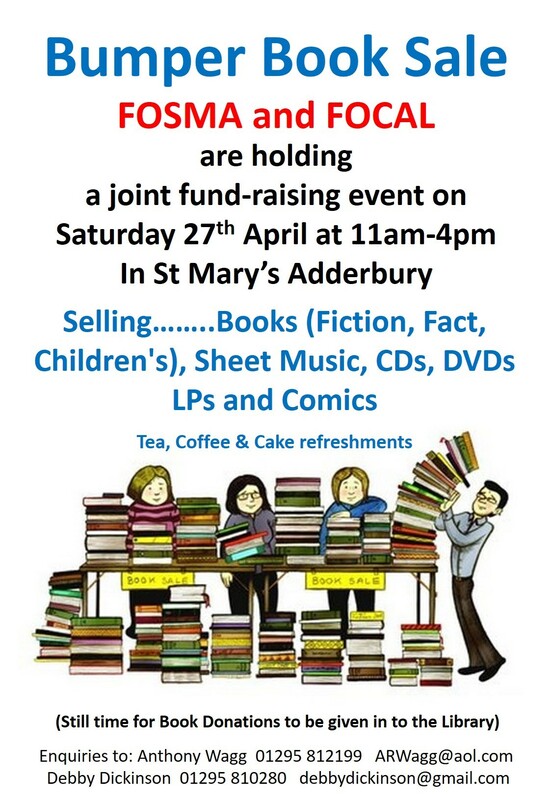 It would also make a grand Xmas present for family and friends to remind them that Adderbury is a fabulous village. 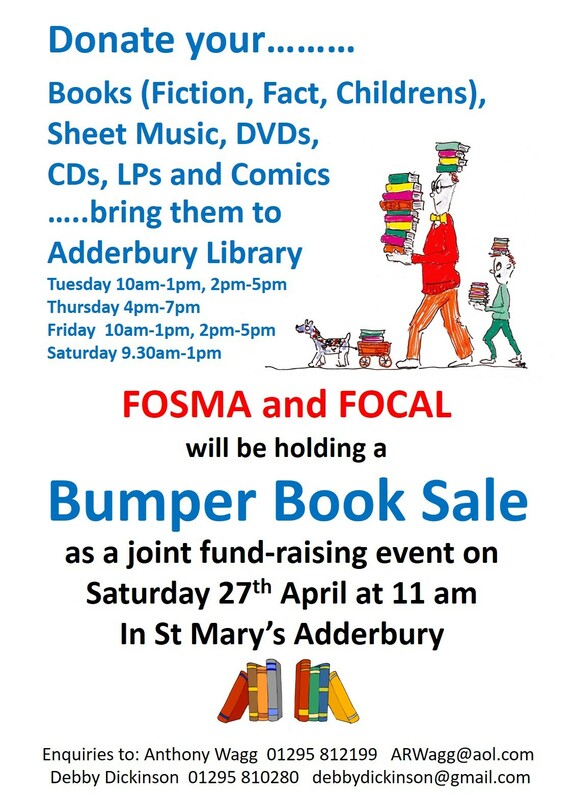 Proceeds help us to maintain our library hours. Peter has walked a further 55 miles since last month’s update and he is now 585 miles north of his starting point at Lands End. A couple of weeks ago he crossed the Scottish border. 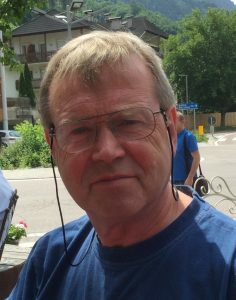 Peter writes a weekly blog on his website at www.walkingforfocal.co.uk where he will talk about the weird and the quirky goings on in the areas he is visiting on his virtual walk. At the time of writing he is a few miles north of Lockerbie and his blog dated 24 November describes the joys awaiting you at Lockerbie Truck Stop, which warring clans took part in the Battle of Dryfe Sands way back in 1593 and how a giant supermarket put the Ecclefechan tart on the map. Monies donated and pledged to date totals £449 which is slightly short of Peter’s target of raising one pound in total for every mile walked. To donate money, go to his website and click on the Donations link and follow the instructions. To pledge money, go to any blog and leave a comment about what you are pledging. Alternatively, to pledge money, send him an email at peterbritton32@hotmail.com. By Christmas he will have walked about 650 miles. Let’s see if he can get to £650 with a little bit of help from all you good people out there. The car boot season is now well and truly over, and Peter is delighted to report that the total monies raised in 2018 was £609.40. During the winter months, if you have an unwanted item of value, and you are happy to donate the sale proceeds to FOCAL, please contact Peter at peterbritton32@hotmail.com who will be happy to try to sell the item on-line for you. We are very relieved to find our web site back after its unexplained disappearance for several days. We have no idea why it suddenly disappeared but have to thank Stuart Phipps for his application of technical knowledge and muscle to get it restored to sight.